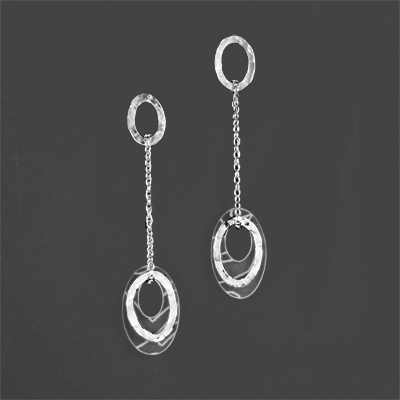 The Plume range is a collection of silver and acrylic jewellery decorated with pattern derived from the feather. 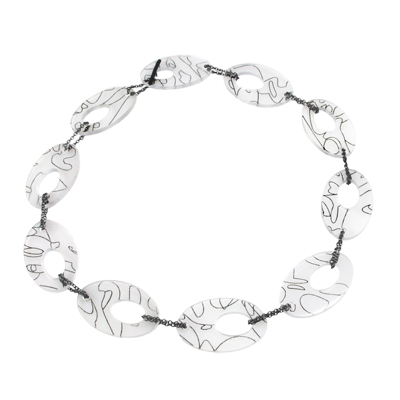 Pattern is laser engraved into clear, colourless acrylic and silver is texturised by hand. 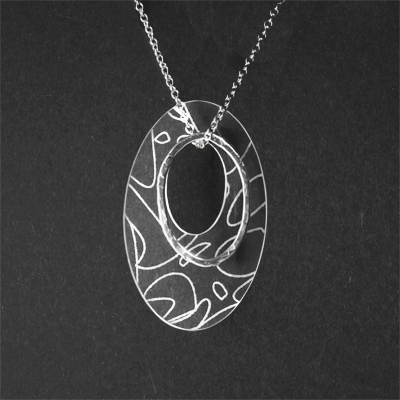 Available with white or black pattern - white pieces have silver details and black pieces have oxidised silver details.